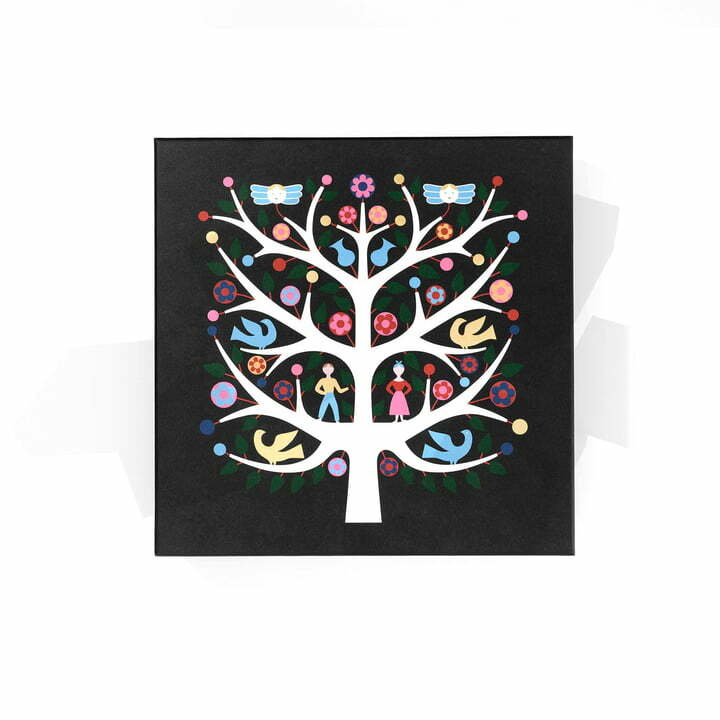 The Tree of Life on the Graphic Box by Vitra is a motif designed by Alexander Girard. As part of the exhibition “The Magic of a people" in 1968, the tree of life decorated the entrance as powerful ornament. For the Graphic Boxes, Vitra and the family Girard selected some colourful and expressive motifs from the large pool of the Girard estate in the archives of the Vitra Design Museum. 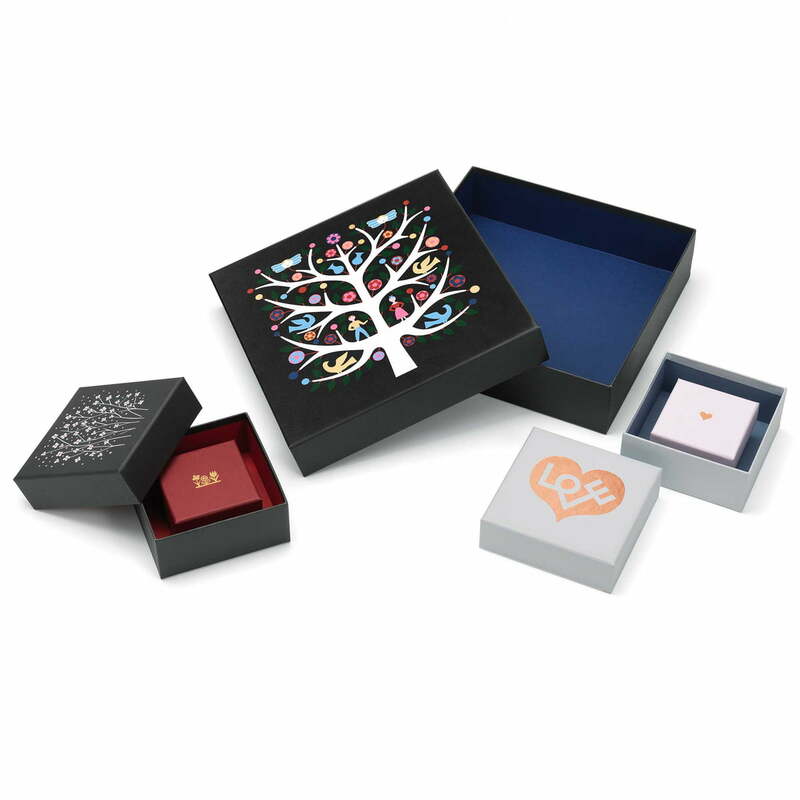 They make the high-quality cardboard boxes unique gift and storage boxes. The Graphic Boxes Tree of Life by Vitra are black on the outside and dark blue on the inside. 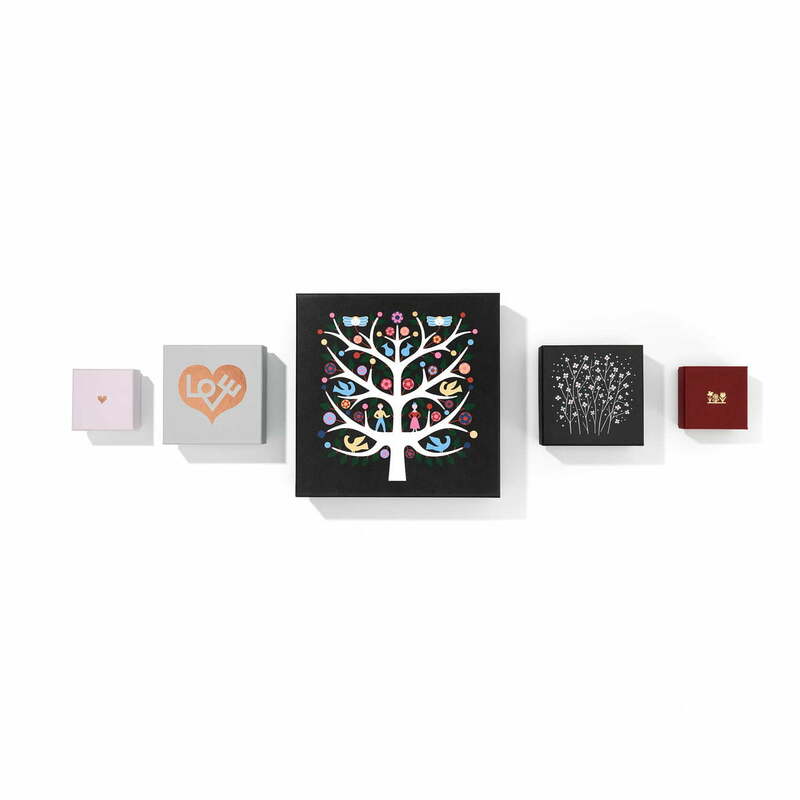 Product image of the large Graphic Boxes Tree of Life by Vitra. 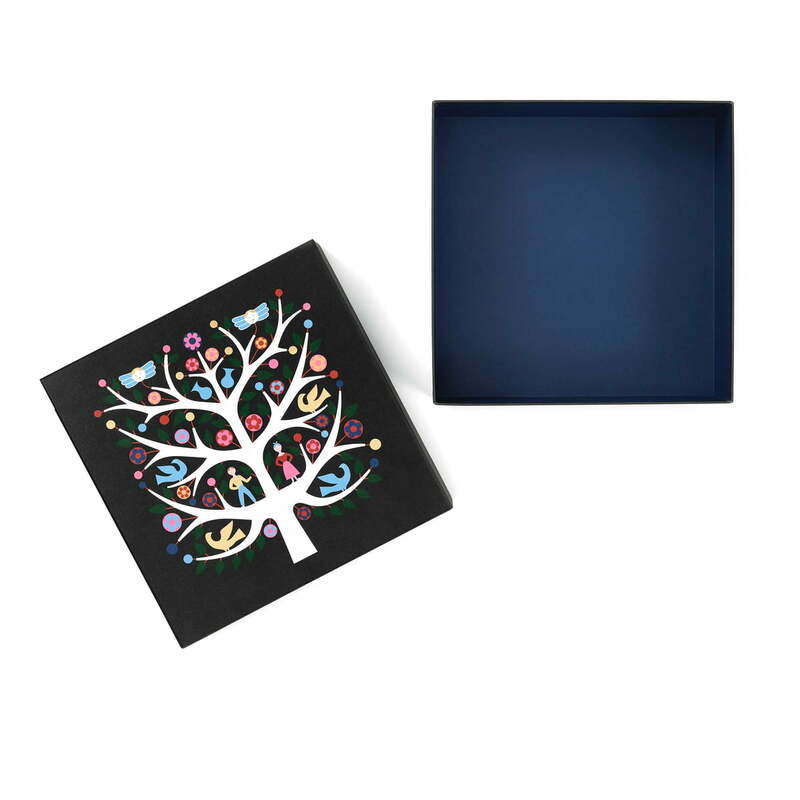 The Graphic Boxes Tree of Life by Vitra are black on the outside and dark blue on the inside. For the Graphic Boxes, Vitra and the family Girard selected some colourful and expressive motifs from the large pool of the Girard estate in the archives of the Vitra Design Museum. The cardboard boxes are adorned by the “Tree of Life”, “Flower” and “Love” motifs by Alexander Girard for Vitra. “Love” and “Flower” are available in the set of 2.